Women are not giving themselves self-exams for breast cancer, and there is not enough awareness about the symptoms to look for and how to check for them. How do we raise awareness of the importance of self-exams? We used Never Fully Dressed’s viral t-shirt design to help get women’s attention — but slightly changed. In partnership with the Breast Cancer Research Foundation, each t-shirt in the collection features an important symptom women need to look out for. 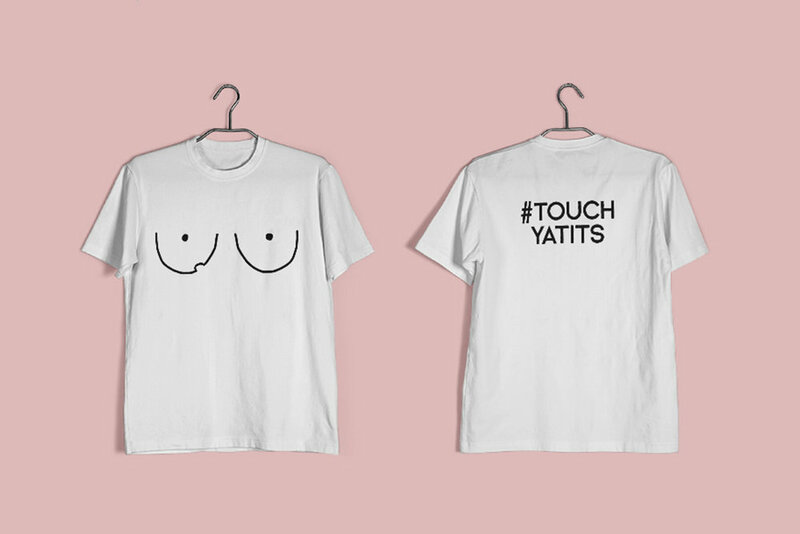 Each t-shirt will come with an easy-to-understand, Ikea-like booklet that teaches women how to perform self-exams and what symptoms to watch out for.